LUBBOCK, TX (KCBD) - Reports came in all afternoon on Wednesday of power lines blown down across the City of Lubbock. The Department of Public Safety announced around 8 p.m. Wednesday evening that US highway 84 and Interstate 27 were reopened as traffic conditions began to clear from several multi-vehicle accidents because of low visibility. Power and traffic problems across the South Plains have largely been the result of dangerous high winds. Gusts as high as 74 miles per hour were reported in Hockley County. Power lines at 1400 Globe Avenue, near Southeast Drive in East Lubbock were blown down. Outages in west Lubbock outside Loop 289 were reported as well. You can check outages with LP&L any time on their power outage map. As of 9:30 a.m. Thursday almost 800 people were still without power. A multi-car crash southeast of Anton on highway 84 shut down traffic in westbound lanes. Due to the number of accidents and zero to near zero visibility, the Department of Public Safety made the decision to close Highway 84 until conditions improve. Traffic on Interstate 27 was diverted onto the frontage road at exit 24 near Abernathy for multiple crashes. First responders and TXDOT crews assisted with traffic control. 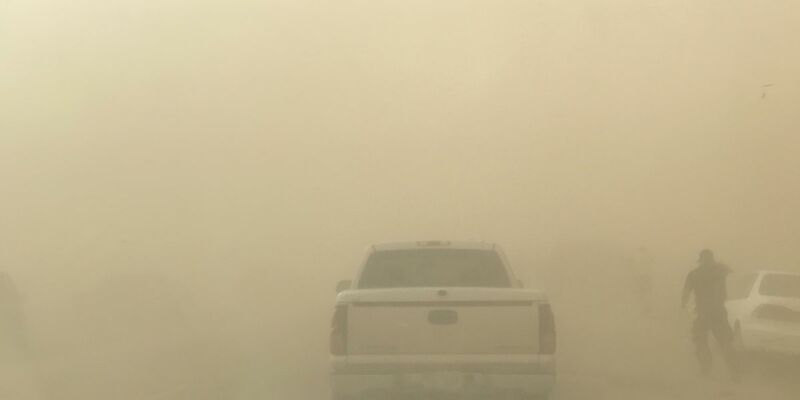 Safety officials are urging drivers to use caution as visibility remains low with the blowing dust. The National Weather Service issued a blowing dust warning for Lubbock County through 10 p.m. tonight. Stay with KCBD for the latest updates on this First Alert Weather Day by downloading the KCBD Weather app for free in your app store.